If Sonny Gray doesn’t get dealt by 4:00pm today, I will eat every hat. 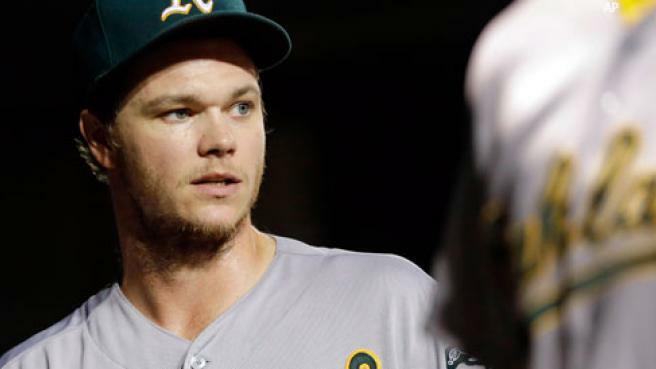 Sonny Gray has been making his final start in an Athletics uniform for a few weeks now and the 27-year-old righty has made the most them count. In the last four weeks of play, Sonny Gray has a 0.98 ERA and a 0.835 WHIP over 32.1 innings of work. What does that mean for his future? That means Sonny Gray is the hottest commodity on the trade market this year. However, he was scratched from his start Saturday, due to teams asking that they receive a rested and healthy Gray at 4:01pm on Monday. 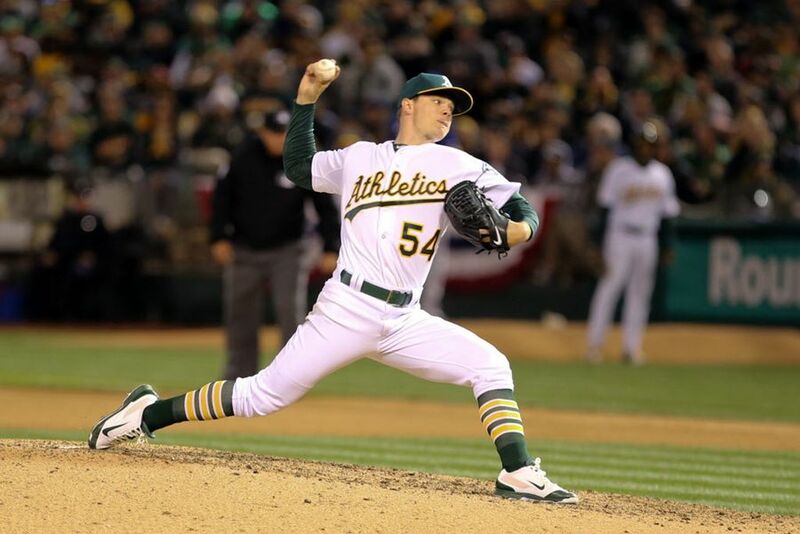 Sonny Gray is going to make two teams very happy. This isn’t much of a surprise, considering that Sonny Gray was mentioned last year at the deadline, despite his injury stunted 2016 and his abysmal performance. Sonny Gray has very much turned it around in 2017. Just over a week since coming back from the All-Star break and Sonny Gray has already matched his 2016 totals for Ks, and has cut his ERA almost in half. The Sonny Gray we’ve grown to love has returned once again, and he’s come at the perfect time to leave Oakland. The Athletics are no strangers to shipping out big name players at the deadline. Last yea,r they sent Rich Hill and Josh Reddick to the Los Angeles Dodgers, 2015 they shipped Scott Kazmir to Houston and Ben Zobrist to the soon-to-be World Champion Royals, and in 2014 they sent Yoenis Cespedes to the Boston Red Sox for Jon Lester. Billy Beane is a man who likes to get the most out of young talented players. He understands that at the deadline you need him more than he needs you, supply and demand, Beane knows where he sits at the negotiation table. There have been two big questions attached to this transaction: what does Billy Beane want and what can Billy Beane get? Well, if history has shown us anything, it’s as many prospects as he can get his hands on. Beane loves prospects in the way that the Barefoot Contessa loves cooking for Jeffrey, it’s their life source. 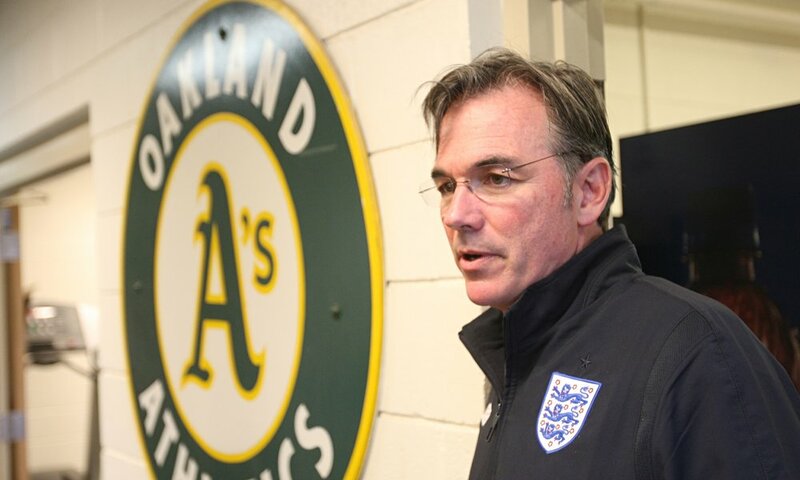 So can Billy Beane get what he wants? That’s the biggest question attached to this deal. The answer is mixed. So let’s look at the team attached to Gray and what they could offer. This might seem like overpaying for some, but let’s consider the reward. Sonny GRay would provide another solid, young pitcher to this rotation and that’s a great thing not only for 2017, but for the future. In the last 5 years the Astros have been at the very bottom of the league and now find themselves at the top, 11 games ahead of the 2nd place AL team. This Astros team is brimming with youth in a very real way. Sonny Gray would add to that youth, and he’d be able to grow with this team for the next two years. If I’m Houston, I have to be looking back to look forward. The Astros roller coaster of a 5-year span has to end somewhere. Last year they found themselves outside of the playoffs after being taking the AL favorite Blue Jays to the elimination game in 2015. You don’t have to win now, but you need to win next year, too. Sonny Gray will complete a rotation similar to the fictional one in Queens. Keuchel, McCullers, McHugh, Morton, and Gray. COME ON. That’s how you stay on top of this division and this year. You suffocate them on the mound. The American League has been a hitters league for almost fifty years now. You need solid pitching to shut these team out. The addition of Sonny Gray wouldn’t just add to a team that could win a World Series in 2017, it adds to the Dynasty that could be the 2017-2019 Houston Astros. Why Cameron and Moran? Cameron first off because of his skills in Center. The kid has a good bat and has been a thief on the basepaths. 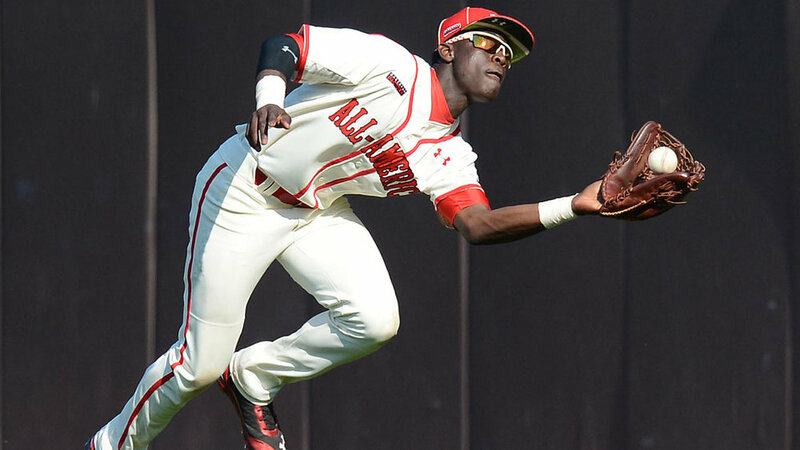 Cameron is a strong, young Centerfielder who has shown great improvement over the past year. The kid is only 20 years old, he’s gonna get better. Moran, on the other hand, is a bit of a doozy. I’m throwing him in there as an option for when Yonder Alonzo inevitably signs elsewhere or when Ryon Healy gets traded next year. Moran is a 1B/3B combo, something the Astros have in Bregman and Gurriel, not to mention Yordan Alvarez and J.D. Davis also in the system at the corners. Moran is a player who can go now, he’s ready for the majors after hitting .308 for Fresno. Kid’s good to go. Something you might not find in other packages for Gray. Or they trade for Lance Lynn, which is much more likely. I mean, would you want to trade Sonny Gray within your division? 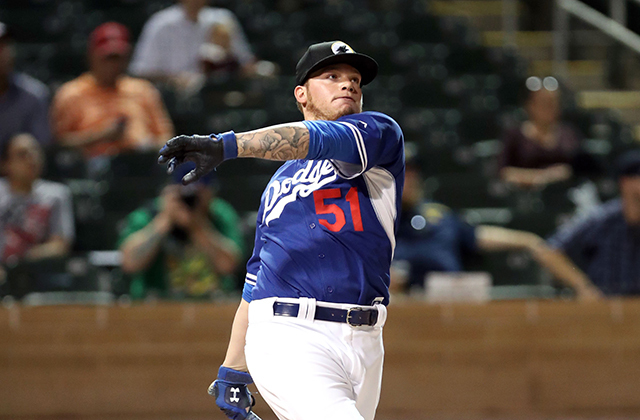 Alex Verdugo is the best prospect you’ve never heard of before this week. I’m serious. I was salivating over this guy once I began looking into him. I’m not even gonna try and put it into my own words because the MLB Prospect write up is perfection. Verdugo was a high school left-hander with a fastball that reached 94 mph and an intriguing slider, but he wanted to play every day and the Dodgers allowed him to do so after signing him for $914,600 as a second-round pick in 2014. He has done nothing to make them regret that decision, winning organization Minor League player of the year honors in his first full pro season and making the jump to Double-A at age 19 to begin 2016. An extremely advanced hitter for his age, Verdugo excels at recognizing pitches, managing the strike zone and squaring up the ball. He exhibits plenty of bat speed from the left side of the plate and an affinity for using the opposite field. 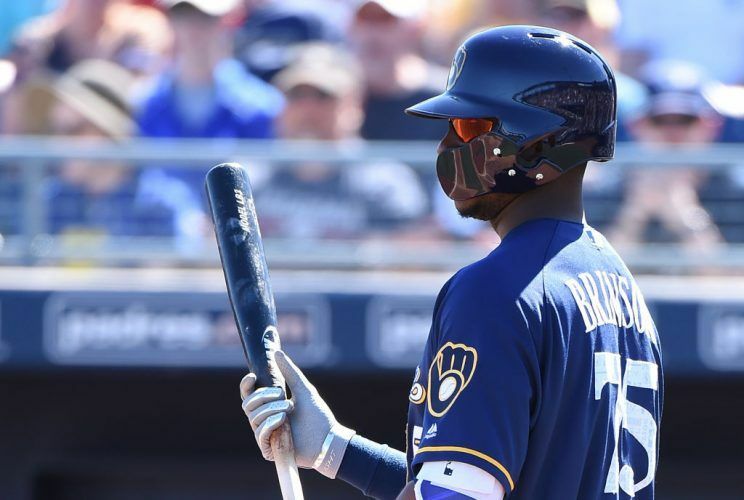 The only concerns with him offensively are whether his line-drive approach will limit him to fringy-to-average power and whether he makes contact so easily that it will cut into his walks. Though Verdugo has just average speed, he has spent most of his pro career in center field. His instincts help him make plays, but a lot of evaluators believe his range will be better suited for right field in the long run. His well above-average arm definitely will play there and allowed him to record 37 assists in his first two full pro seasons. That’s a guy to be traded for someone big. That’s a guy who can play. It also strikes me as a very Oakland thing to have a guy who was an insanely good pitcher become an insanely good hitter in the span of 2 years. Masterful. Diaz is in their for the same reasons I mentioned above with Alonzo and HEaly potnetially on the move, but also for the small fact that Diaz is quietly very good. He’s the #18 prospect in the Dodgers system and with the solid play of Bellinger and Turner at the corners, there’s just no room for him in the major league club. He’s a perfect candidate to move and he carries great stats with him. Diaz hit over .300 in AA and has been adjusting nicely to the PCL by putting up a .901 OPS. He’s a great pick up, and he’s an easy addition. I actually really like Sonny Gray going to the Dodgers. First off, the LA and Oakland have traded in the past and have a great working relationship. In fact, the Rich Hill/Josh Reddick trade was well constructed and evenly weighted, that’s what you’re gonna get from these two teams. Simplicity and structure. However, much like the Astros, Gray’s appeal also lies in his team control. The Dodgers have found themselves having to sign their postseason heroes to big deals after in the offseason or let them walk. Hill and Jensen were rewarded for their 2016 seasons, and Greinke walked after 2015. This is a very expensive Dodgers team, so having a player under team control for two years will keep a star on the roster and star salary off the payroll. It couldn’t be more simple. Give the people what they want. This is the move that everyone is expecting to happen, but there have been some serious hiccups. I say that because this deal makes the most sense, but hasn’t happened. What are we waiting for? We’re waiting for the Yankees to ship out more than they want. It came out this weekend that the A’s were looking at Gleyber Torres and Clint Frazier, the Yankee’s #1 and #2 prospects, as a part of this deal. The Yanks have previously stated that their top 5 prospects are off the table, but here we are days later with a deal yet to be made. If the A’s have suitors for Gray who are willing to shell out their top prospects, then why are the Yankees still at the table? Because there’s a chance they’ll do it, too. In a huge turn around from the previous year, it would appear that Brian Cashman is willing to spend prospects to get players. And he’ll have to do that here. 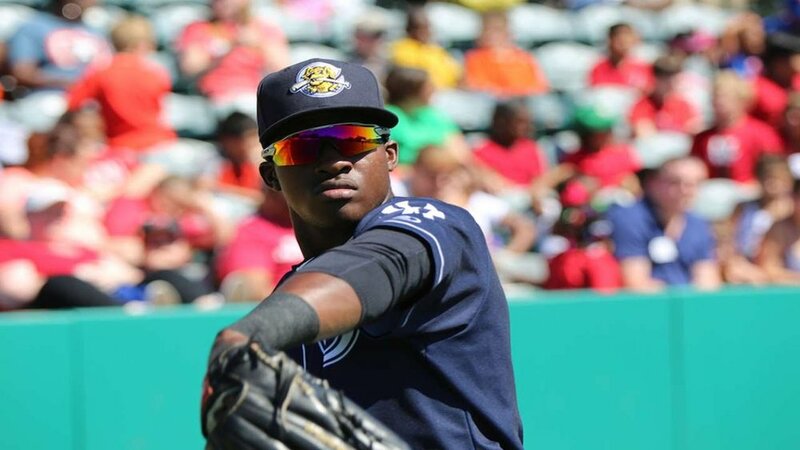 Florial is a great outfielder in a system flooded with outfield talent. He’s also been touted as a very good outfield solution for the Athletics, but here’s the thing: so is everyone else’s. Daz Cameron, Alex Verdugo, Lewis Brinson all have similar if not better numbers than Florial. So why are the Yankees still at the table? Because there’s a chance they’ll overpay, and when the Yankees overpay, everyone wins. However, this feels like more of a staring contest, and there’s no way to tell who’ll blink first. But I think he goes to Los Angeles. Just you wait. This is going to be a marathon, not a sprint.